It’s about 8 am. I walk outside and hop on my bike to head to work. There’s a few kids on bikes headed toward school along with a few adults going to school too. There’s a few others that are on their way to work, like me. Refreshed from my commute to and from work, I roll in to the condominium complex around 5:15 pm. I see some other people coming back from work or school and tons of kids out on bikes. 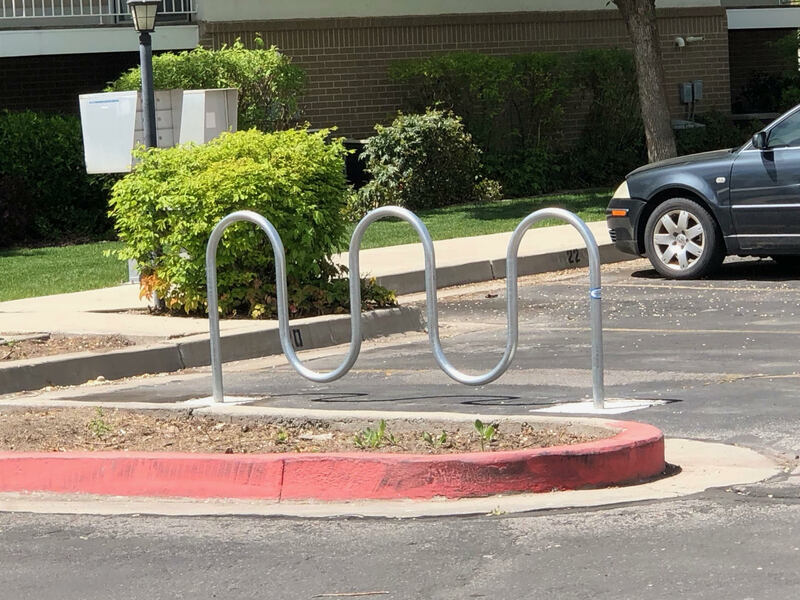 What I don’t see are bike racks. 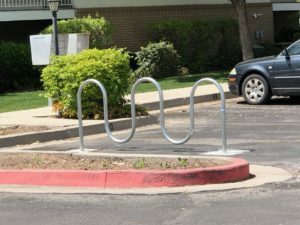 Instead bikes are being locked to trees, stairwells, and light posts or they sit on the grass. You find them on balconies and in stairwells, which makes it inconvenience and difficult to use them daily. 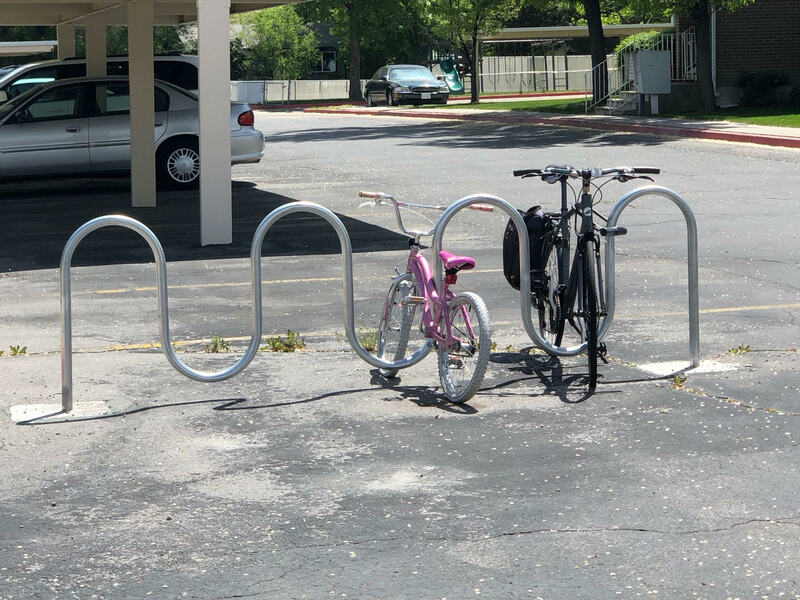 We need bike racks! After working with the HOA board and the management company, we were able to have two bike racks installed at my complex. Don’t let their emptiness fool you. You see, everyone’s out cycling, but by dark the racks don’t seem so lonely.